It all started with Bluesound. This company designed and engineered a ground-breaking new audio distribution system and incorporated it into a series of quality audio components. Their electronics allow you to play music stored anywhere on your home network (such as on your computers' hard drives or network attached drives), from any of the thousands of radio stations on the Internet, or from some of the best-sounding streaming services such as Tidal. 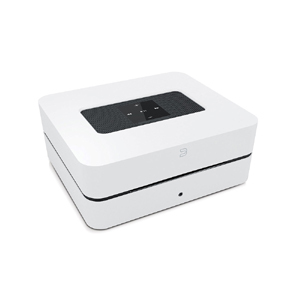 Their models include the Node 2i at $499, a stand-alone streamer that can plug into any existing stereo or home theater system, the Power Node 2i at $799 which is a self-contained integrated amplifier with Bluesound capability built in, and the Vault 2i at $1199, a complete Bluesound solution that also has a huge, built-in hard drive for storage of your own personal music collection. Their equipment is easily controllable from your iPad, iPhone, or Android device as well as from your PC or Mac. They also have wireless loudspeakers, including a soundbar and subwoofer. 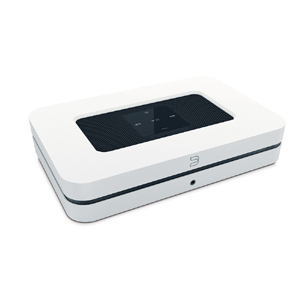 All models also support MQA, ROON, Airplay, Alexa voice control, and multiple streaming formats such as Spotify. The real excitement has come with the recent combination of Bluesound and NAD. Most readers will be familiar with NAD, a company that has always been known for providing very impressive sonic performance at budget prices. Many NAD amplifiers can now be purchased with all of the convenient Bluesound capabilities built in. This means that NAD, a company that first began building remarkably-good-sounding equipment in the 1970s, has added its sonic expertise to the Bluesound streaming capability to produce the best-sounding streaming systems available. We finally have a method of listening to and remotely controlling music throughout your home that is state-of-the-art and which is worthy of being sold by a �sound first� store like Audio Nexus. We are very happy to offer the Bluesound and NAD products as a way for you to have the convenience you always wanted along with the sound quality that makes it all worthwhile. Sound plus convenience in one package: now that's a smart way to spend your money!